Apple pulled the iTether app from iTunes on Tuesday because it placed too great a burden on the wireless carriers’ networks, according to the app’s creators. Tether, which created iTether, wrote on its blog that Apple called the company around 12PM on Tuesday. While Apple pointed out that the app placed too much stress on the carriers, “They offered us no way to remedy the solution…We were very clear when listing the app what the primary function was and [Apple] even followed up with several questions and requested a video demo” before approving the app, according to the blog post. 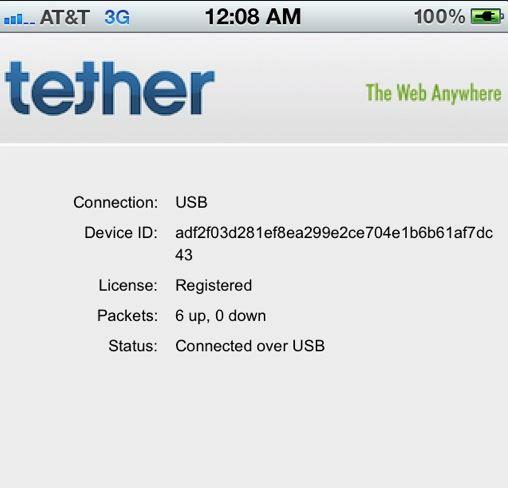 iTether allowed users to connect their PC or Mac to their iPhone data plan without paying extra. The app went live on Monday for $14.99.